Tonight in Naperville, IL, home of top-ranked North Central, the indoor season ends for almost the entire men’s team—and for everyone who’s competing. Chris Hall’s staff has decided to rest third-year Billy Whitmore, whose qualifying times have placed him, at this point, in a position to compete at Nationals. 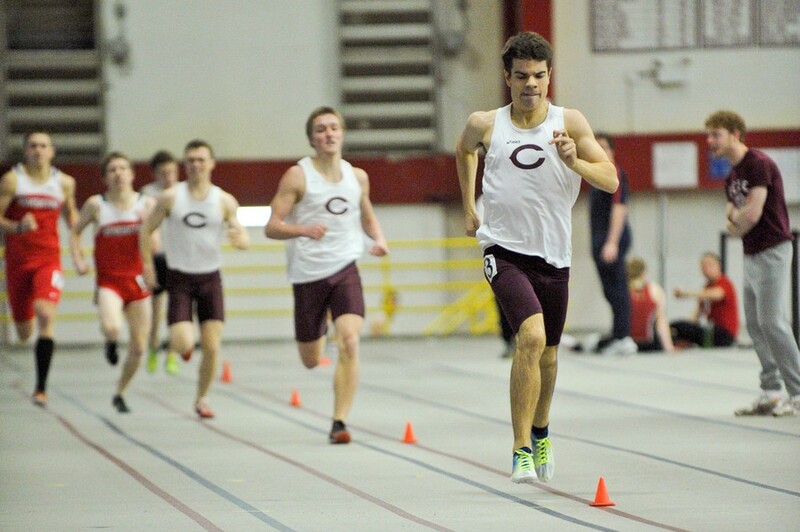 For the rest of the team, the Last Chance Meet is a chance to conclude indoors with a strong performance. It’s also an opportunity for athletes to test out new events. As a result, during practice there has been a lot of focus on recovery, as well as the upcoming outdoor season. That, for the most part, has been the truth for runners not named Whitmore. Still, the spirit of competition is alive—different, perhaps tamed, but vibrant. “I’m still going to run the fastest time I can,” fourth-year Brian Schlick said.